Flamenco dancers dazzle with their movements and hypnotic footwork. 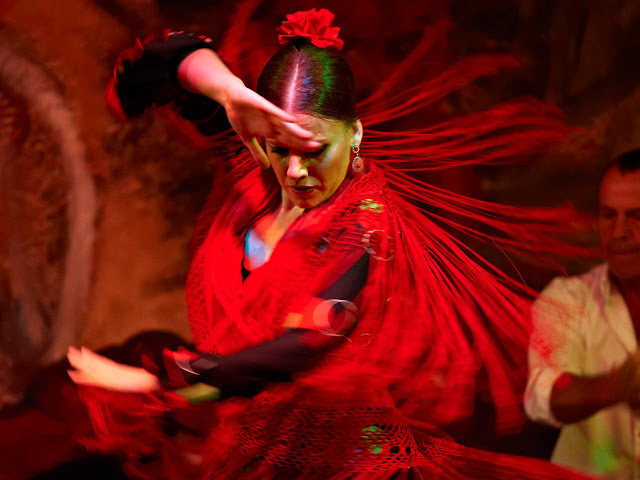 The swirling and twirling of scarves is part of the flamenco tradition. AS A YOUNG bride on honeymoon in Granada, I witnessed my first flamenco dance. The dancers were a mix of ages and shapes, but all had the expressive moves down pat -- their arms and feet moving in time to the intricate footwork, shawls whipping around their bodies. From our center table in a small dimly lit cafe, we could see the facial expressions and drops of sweat. I pressed a flower that flew from the head of one of the dancers during an intricate move. Dancers take individual bows at the end of each piece. THE TIME honored dance form became famous in Spain but reflects contributions from many other world cultures. It usually features a solo performer, backed by musicians and sometimes a partner. Hand clapping and that distinctive percussive footwork give flamenco its flair, enhanced by intricate hand, arm, and body movements. Today's flamenco reflects music of Latin American, Cuban, and Jewish traditions. It was originally not set to music but was accompanied by emotional singing and clapping of hands called “toque de palmas." The company takes bows on stage, with the featured singer in the center here. 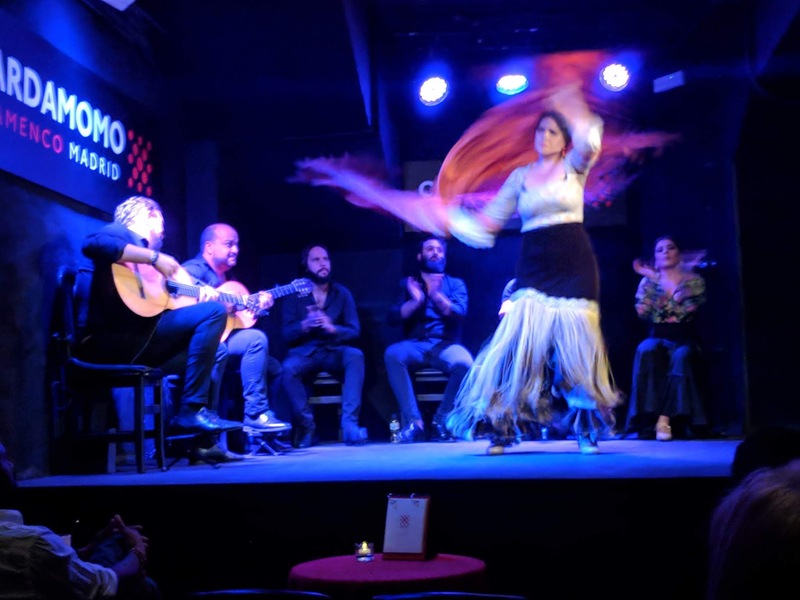 IN OUR annual forays to southern Spain, we always include at least one night of flamenco. On this most recent trip, we gilded the flamenco lily, choosing two very different venues to enjoy this integral part of Andalucian culture. One can find as many definitions of flamenco as there are tapas bars. 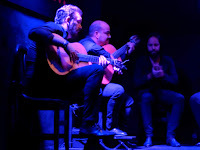 Most scholars agree that flamenco is composed of four elements: voice, or cante; dance, or baile; guitar, or toque, and "jaleo," which roughly translated means "hell raising." Clapping, stomping, shouts of encouragement to the featured dancer convey the emotion of the numbers, often laments about life's sorrows and the human condition. are an integral part of the show. Dancers, singers and musicians share a final bow. 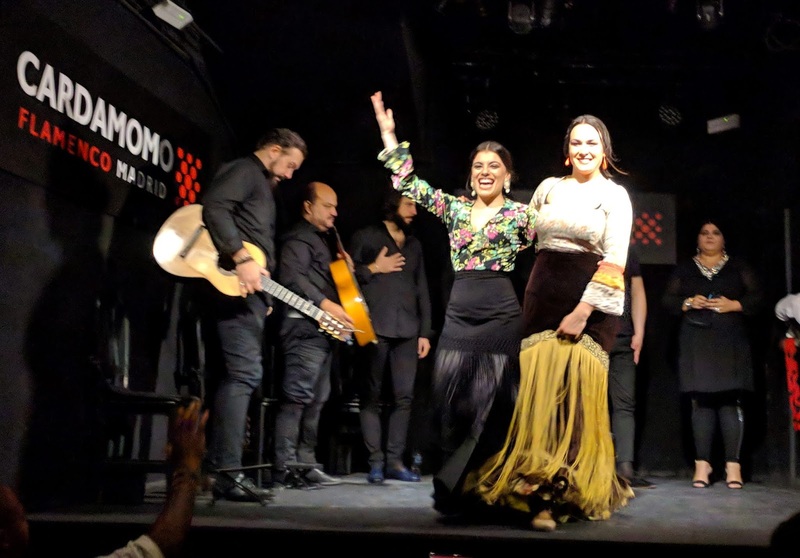 One of our shows, "Encuentros en la cumbre del baile," or Encounters at the pinnacle of dance, featured two of Spain's most famous flamenco dancers, Miguel "El Rubio" and Palmoa Fantova, backed by Maria Carmona and Sara Barrero. The other show, "Tablao Flamenco Cordobes," promised to convey the mystery of the singing and poetry -- paying homage to Gypsy, Moorish, and Andalusian folklore. As our waiter said, "flamenco is an outcry, an expression of love and pain, or enjoment and happiness. It is meant to be felt, not necessarily understood." All aboard next week for tips on Eurail travel with our team, Cookie and Keller. 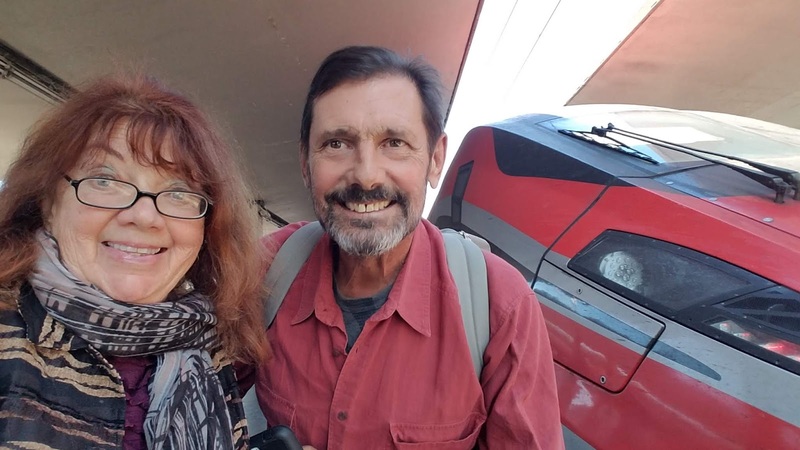 Dazzling photos and fun story. 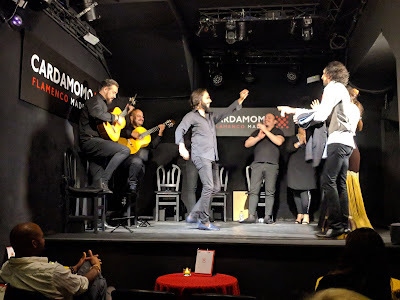 We go to Spain every year and always take in flamenco. Fun rendering of this exciting artistic tradition. Glad to see you love flamenco, too. And thanks for viewing it as much more than dance! You really captured the spirit of flamenco! Ole. Great read and fabulous photos.